Peach huggen a star. aww thats soo cute!. 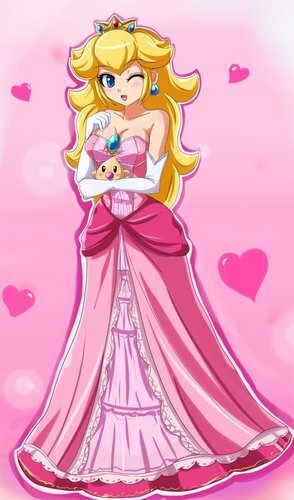 HD Wallpaper and background images in the Princess Peach club tagged: peach princess peach princess. this is one of my fav pics!Its really colorful! Yeah a Luma what is the point of going on fan pop on a Mario fan pop club when you don't even no what a Luma is.